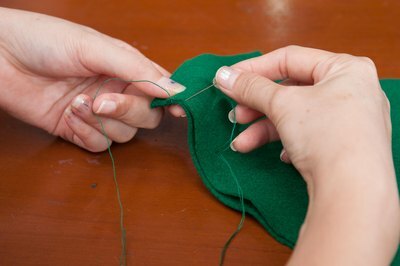 Felt is a good material for making elf shoes for a costume or to wear as slippers around your home during the Christmas season. 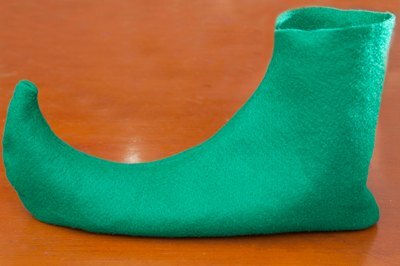 The felt is soft and comfortable to wear and looks the same on both sides so you do not have to worry about assembling the shoes incorrectly or sewing the seams on the outside of the elf shoes. Purchase puffy dimensional fabric paints from a craft store to add traction to the bottom of your finished elf shoes. Measure the length of your foot from your big toe to the back of your heel. Add 2 inches to this measurement. Measure around the widest part of your foot and divide this measurement in half. Add 2 inches to the halved measurement. 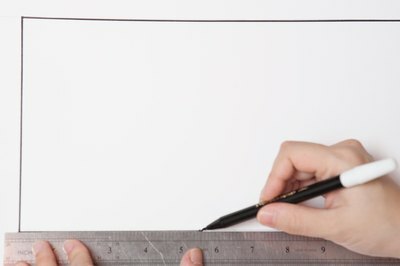 Take the two final numbers from Steps 1 and 2 and draw a rectangle in the center of a long piece of paper using these measurements. 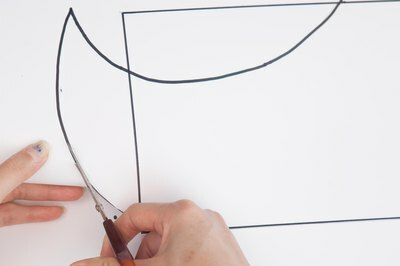 For instance, if the final number from Step 1 is 11 and the final number from Step 2 is 6, draw an 11-inch by 6-inch rectangle. This is the base of your elf shoe pattern. Draw the design of your elf shoe as if you were looking at it from the side around the rectangle base pattern. 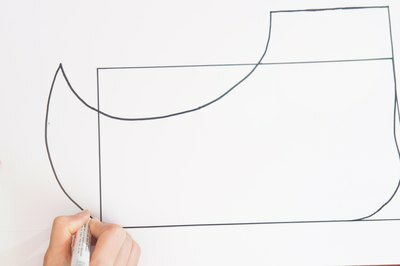 Draw a curved-up toe if you like but do not draw inside the rectangle or your finished elf shoes will be too small. Cut out the elf shoe pattern you designed and trace it onto a piece of felt four times. Cut out the four elf shoe halves. Place two of the shoe pieces together and stitch along the edge of the pattern using a 1/2-inch seam allowance. Do not stitch the top of the shoe shut or you will not be able to wear it. Repeat this process with the other two felt pieces. Try the elf shoe on and if it is too big, sew another seam 1/4 inch inside the original seam until the shoe fits correctly. Turn the elf shoes inside out so that the seams are on the inside of the shoe. Put the shoes on and apply several dots of puffy fabric paint to the bottom of the shoe. This will help prevent you from slipping while wearing the felt elf shoes. Decorate the elf shoes by sewing a jingle bell to the tip of each toe.